The Dreamland Chronicles » Shazam…. 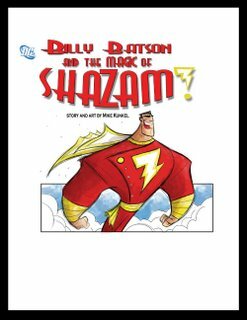 My good buddy Mike Kunkel (Herobear and the Kid) is working on a Shazam series for DC comics. It’s bound to be great. And it’s so nice to see him taking a break from his award winning run at Cartoon Network (Juniper Lee and Gym Partner is a Monkey) to do comics again. Anyways. He’s put up a blog for it…so head on over and bookmark it. I don’t know how often he’ll update it…but prod him and I’m sure he’ll post often.